On a hot day in the mountains of Chiapas, Mexico, a group of students and professors stepped out of a bus and onto a farm – the farm of a friend, Don René. He invited us to explore one of his fields with him, and it was there that I really began to get a sense of how important maize is in southern Mexican society. Don René took his time to walk us through his field, showing us the varieties of corn he grew there. Each had its own feel, its own texture, its own color. Upon harvesting corn from their fields, Maya farmers hang a significant portion inside their houses to let it dry out. “We are made of corn,” Don René told us flatly, baking as we were under the hot sun. He was unrelenting; corn was his livelihood; it was his life. Later another friend, Don Manuel, would stress this again, “If we eat anything,” he said, “we have to it with some kind of maíz.” But with the advancement of the NAFTA treaty, the United States has been flooding Mexican markets with cheap corn produced in the U.S. heartland. As a consequence of this, unmechanized Mexican farmers working with fewer resources – like Don René –now have to unfairly compete with the subsidized and heavily mechanized agriculture done in the fertile breadbasket of the United States. Throughout my trip to Chiapas, I discovered that, to cope with this, many southern Mexican farmers are having to shift away from the production of their traditional varieties of corn to hybrid varieties, created by the state, which, despite being more productive, are less tasteful and do not carry with them all the nutritional benefits or, importantly, the cultural significance of more traditional varieties. If they are not using these new varieties, then they are most likely shifting to producing a different – and often unfamiliar – crop, or they are leaving the profession altogether. In both cases, they are setting down an ancient heritage – the production of corn – and the face of this heritage is not just taking on a new form, as it has in the past: it is disappearing for good. 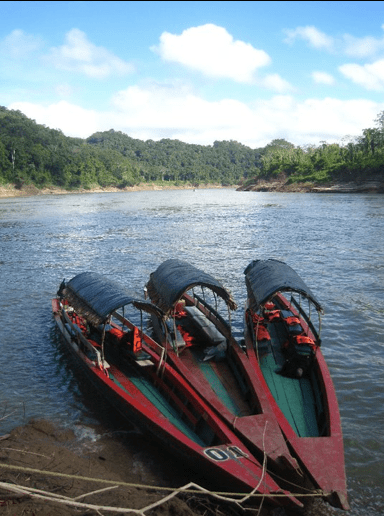 Three boats sit docked on the shores of the Usumacinta River, one of the centers of the pre-Colombian Maya civilization. Serving as a border between the Yucatán penincula, the Mexican state of Chiapas and the country of Guatemala, it remains an important artery of transportation in the region. 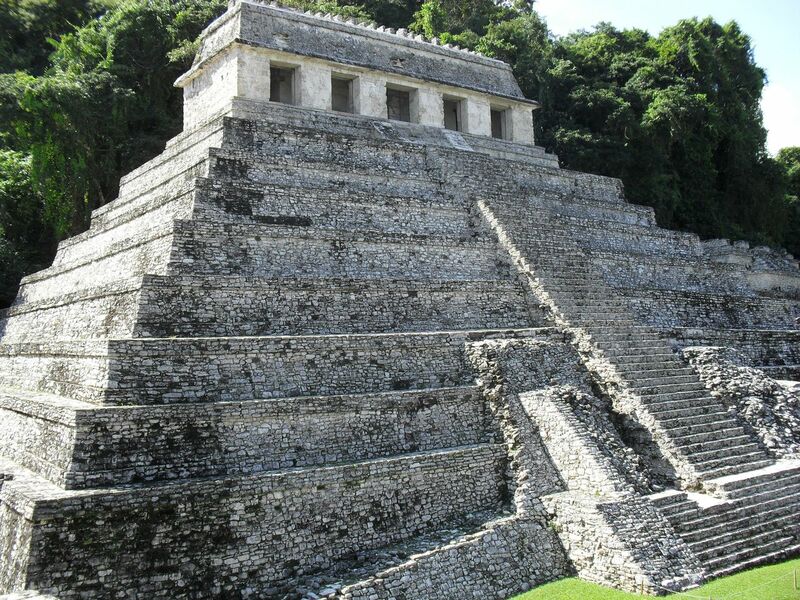 Seen here, the burial tomb of the pre-Colombian Maya king Lord Pakal stands today as a testament to the achievements of the pre-Colombian Maya civilization. The cycle of sewing and harvesting corn was integral to the lives of the ancient Maya, and for centuries leaders like Lord Pakal reinforced the importance of this crop. A modern extention of this cultural heritage, farmers throughout Chiapas still regard maize as essential to their lifestyles. Just south of Don René’s farm sits the sprawling city of San Cristóbal de las Casas, founded in the 1500s by settlers from Spain. While its central district is known as the cultural and economic capital of Chiapas, its outskirts are populated by poor farmers, many of them facing economic circumstances identical to Don René’s. In response to the struggles that these people are facing, institutions and entrepreneurs from around the world have taken it upon themselves to introduce micro-finance, a powerful tool for combating poverty, to Chiapas. One organization, called AlSol, has lent over $400,000 in the form of small loans to impoverished Chiapanecos, many of them having been socially or economically marginalized by agreements such as NAFTA. The money that AlSol provides its clients serves a variety of purposes, from buying supplies for a fledgling entrepreneur’s business to ensuring that a family has enough food to last the week. In turn, the many uses the money in the hands of AlSol’s clients might have will reveal the larger strengths of micro-finance, and speak to the validity of Spartan Global’s mission. As farmers who traditionally harvested corn move away from their maize-based subsistence practices, large plantations of foreign crops such as this have become commonplace throughout the state of Chiapas. The plants in this picture are West African palm oil trees, the seeds of which were provided to local farmers by the Mexican government. 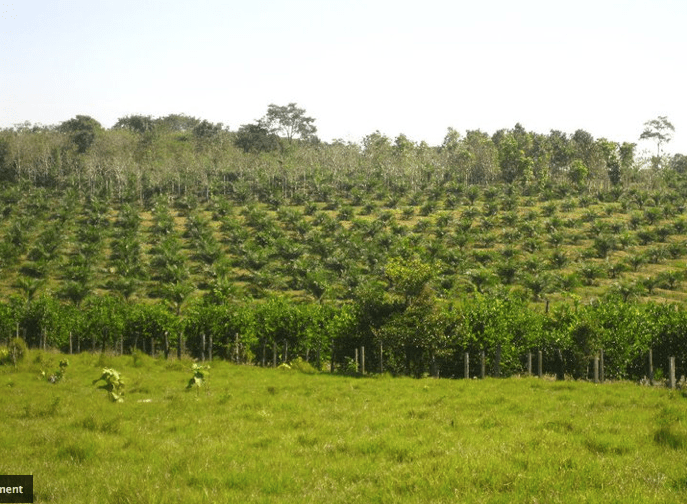 Though the oil harvested from these trees yields a hefty economic return, Chiapanecan farmers have expressed uneasiness with this shift in production due to their unfamiliarity with the palm oil tree and the environmental dangers it poses to their once-fertile maize fields. In the first place, micro-loans are useful because they are flexible in so many ways: borrowers are able to determine how exactly to appropriate their funds, and they pay the loans back often on their own terms – in many microfinance circles, an informal respect for the borrower is an understood premise of doing business. In addition to this, micro-loans are generally easy to finance because they are small when compared to the lending capacity of the loaner. At the same time, they are usually substantial to the borrower, providing what might be termed an “adrenaline shot” of capital – and because the borrower is usually allowed to use the money as he or she pleases, it most often goes directly to where it is needed most. When the loan is repaid, the same money is lent out to another person in need, thus working good in the lives of people over and over again. In the case of Don René and his fellow Chiapanecos, the world around them will probably keep changing, sometimes to their advantage, but sometimes not. We at Spartan Global believe in the power of micro-loans to help those in need, and we are fueled by the encouragement, support and resilience of the communities we work with. Resolute in our aims, Spartan Global is dedicated to the model and the practice of microfinance, determined to continue improving lives around the globe.